The Daredevil season 3 hallway fight scene raises the bar even as it drops jaws. What was it like behind the scenes of this epic battle, and how did it almost go wrong? This article contains spoilers for Daredevil season 3. By now, high-quality fight scenes are de rigueur for Marvel’s Daredevil. Fans have been treated to every possible variation, from blindingly slick displays of martial arts to brutal, dirty brawls, to that one time when Fisk decapitated a guy with a car door. But Daredevil has become especially well-known for its audacious attempts at filming intensely complex fight scenes in just one take. 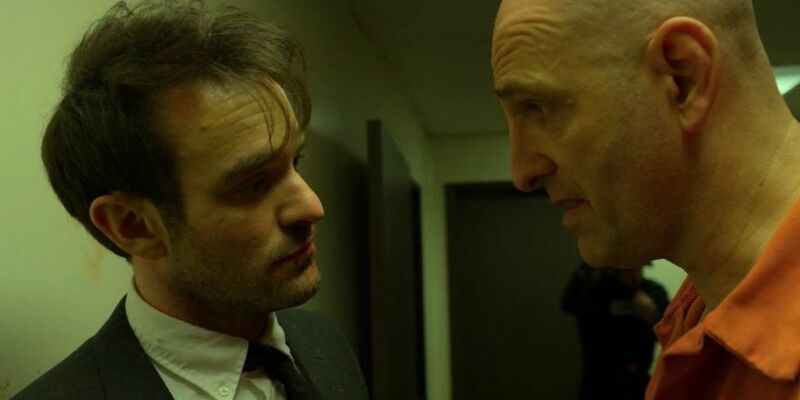 Daredevil season 1 left fans agog with the very first “hallway fight scene,” sending Matt Murdock down the intense gauntlet of one corridor to rescue a kidnapped child and take down baddies all the while. Season 2 aimed even higher, delivering a technically proficient but rather bland battle down multiple hallways, stairwells, and the sidewalk. The Defenders also paid homage to this trend. All four of Manhattan’s heroes united in their work for the first time in a Rand Enterprises hallway, each Defender dealing his or her brand of, er, active defense to an oncoming slew of villains (plus Elektra.) It was one of the livelier spots in an otherwise dull series, and certainly revived the hope that Daredevil season 3 would continue to deliver on their very specific skill. The Daredevil season 3 hallway fight is nestled like a jewel in the center of the season’s fourth episode. The fight follows Matt, impaired by the injection of an unknown drug, through a prison riot in which every single participant wants to slaughter him and wave his corpse in front of Wilson Fisk. An increasingly weakened Matt battles his way through the prison, making allies and enemies along the way, deception and drama unfolding as skillfully as any quiet conversation. 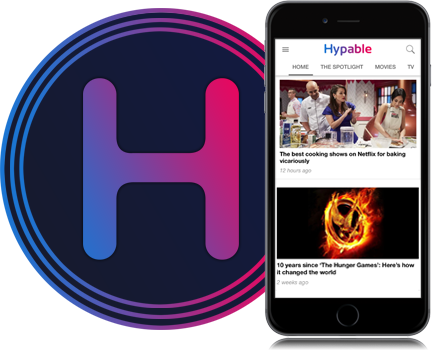 The scene took eleven minutes and thirteen seconds to film, star Charlie Cox told Hypable. It’s an audacious length of time to attempt to film anything, much less a violent saga of escape peppered with dialogue and practical effects. But, you know, go big or go home, right? The Daredevil season 3 hallway fight is remarkable not only for its duration, but also its intense complexity. The single shot is not only preceded by an amuse bouche of a tussle between Matt and a prison orderly, but also involves several straight minutes of play-like dialogue and so many moving elements, it’s a miracle the crew didn’t lose their minds. After all, what’s the point in making television history if you don’t do it with firebombs, explosions, strobing lights, gas, and liters of fake blood? But Cox told Hypable that the final, incredible take of the Daredevil season 3 hallway fight scene nearly came crashing down around his ears more than once. The interval of dialogue, the calm eye of this superstorm, was almost Daredevil‘s undoing. But the near-misses didn’t stop there. “The other thing was, as the camera’s on me, the first line is… the Albanian’s,” Cox continued. “And we’d done the whole scene, it’s gone so well.” With the camera on Cox, the actor playing the leaser of the Albanian syndicate… well, he had a brain fart. “We were so close!” Cox laughed. Close indeed. Luckily, the scene survived to fight further, and fans of Daredevil can marvel at the result to our hearts’ content. At least until we all start to wonder what’s next. A 20-minute fight scene? An uncut battle that lasts for half an hour? An entire episode, replete with violence, captured in a single shot? Or maybe just one long shot of Matt chilling out with a beer. 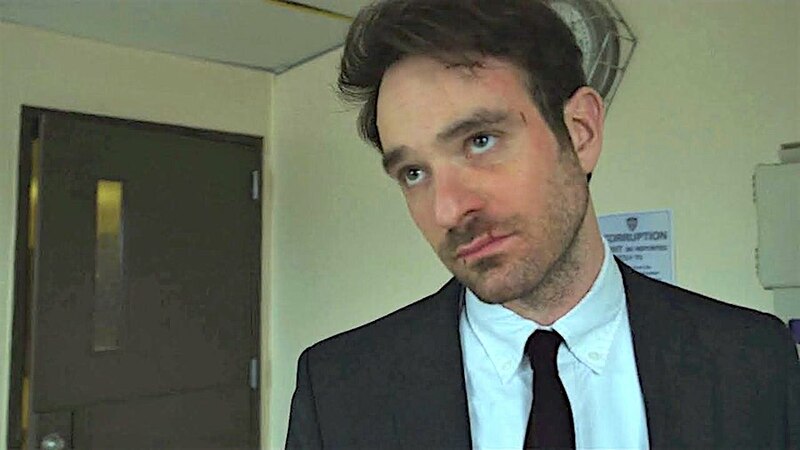 After all the madness of Daredevil season 3, he has most certainly earned it. What’s your reaction to the ‘Daredevil’ season 3 fight scene?